LICENSE FREE DIGITAL RADIO!! BUY AND MULTIPLY OFFER!! 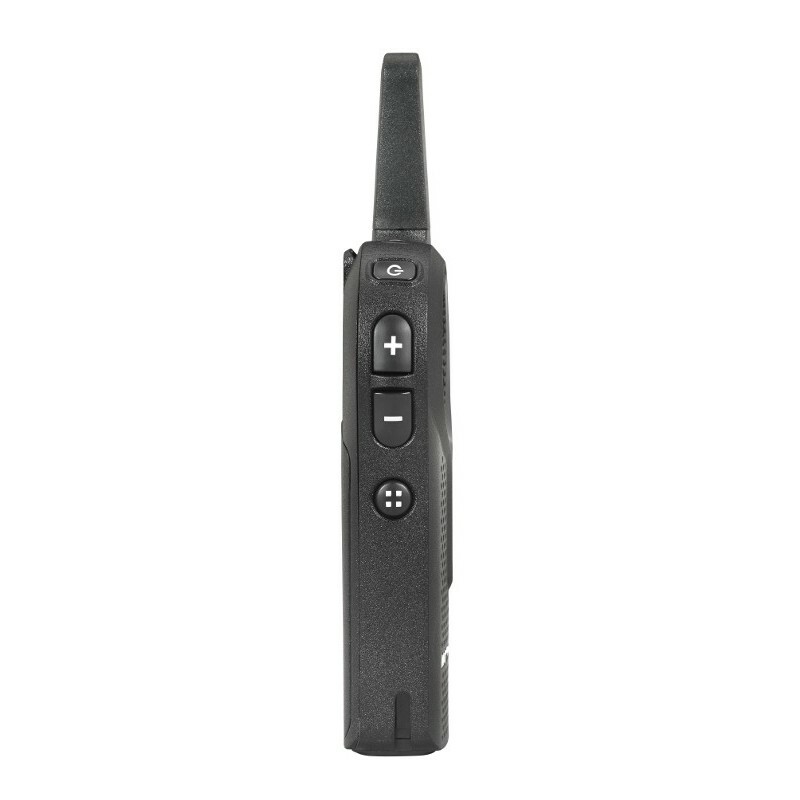 Improve operational efficiency and solve problems quickly in real time with the Motorola DLR1060 digital business two way radio! The DLR1060 is a compact, lightweight transceiver with sleek styling and static-free audio for crystal clear communications. It has 6 channels and 1 watt of power with potential coverage for up to 300,000 square feet or 20 floors. This is more than just a push-to-talk radio. It's a digital communications solution for your operation! LIMITED TIME OFFER - Choose a FREE radio or $150 Prepaid Card or a FREE Multi-Unit-Charging Tray for every six Motorola DLR Series radios purchased! Click the "Buy and Multiply Offer!" tab above for details. Interference from other radios, especially outside your organization, can be a distraction, and keeping internal communications private can be a challenge. Not so with the DLR series from Motorola. The DLR1060 supports Frequency Hopping Spread Spectrum (FHSS) technology. Your communications are not just more reliable, they are free from interference and offer greater privacy than typical analog models! 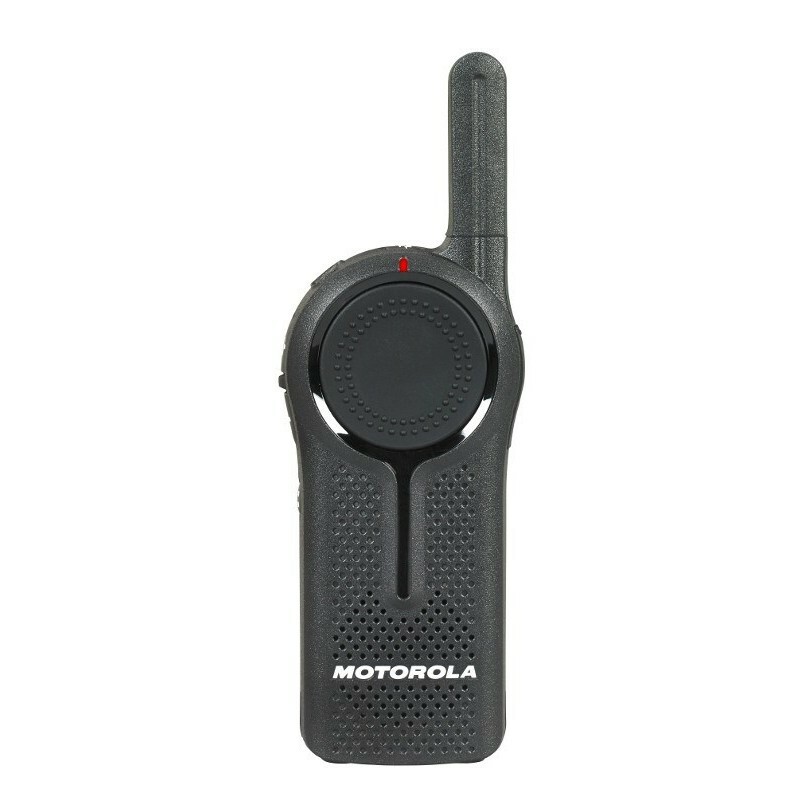 The Motorola DLR 1060 is also durable. It meets test methods from Military Standards 810 C, D, E, F and G for shock, vibration, dust and extreme temperatures. It is built with a polycarbonate, anti-microbial housing with built-in resistance to bacteria and mold on the surface of the radio. Best of all, the Motorola DLR1060 is license free! This makes it ideal for use in restaurants, retail, schools, event coordination, and other operations that require business grade communications without a costly business frequency license. 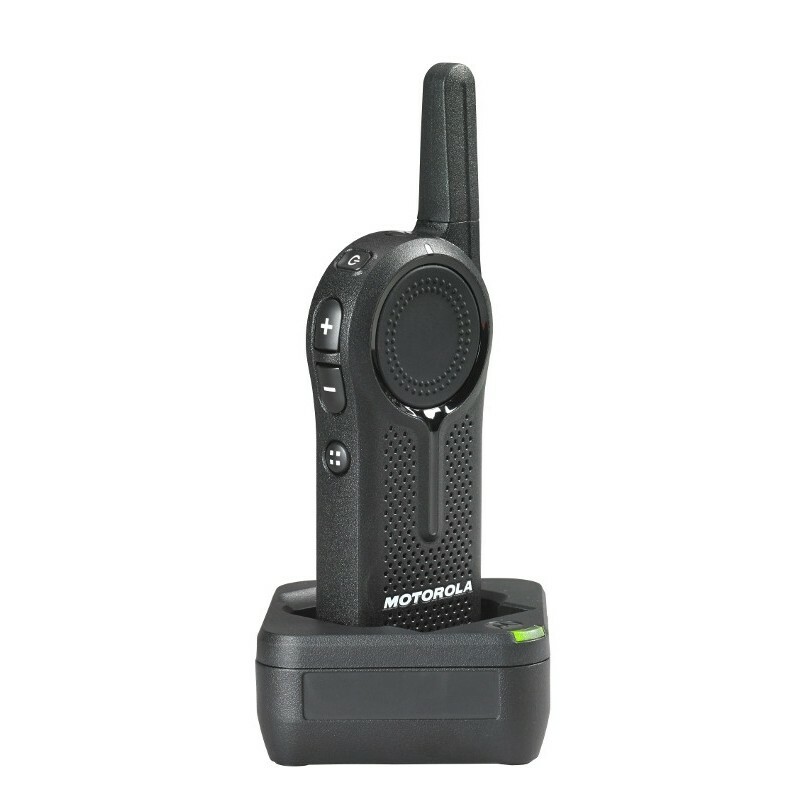 Includes one Motorola DLR1060 two way radio, holster, drop-in charger, AC adapter, 14 hour lithium rechargeable battery and a one year manufacturer warranty. 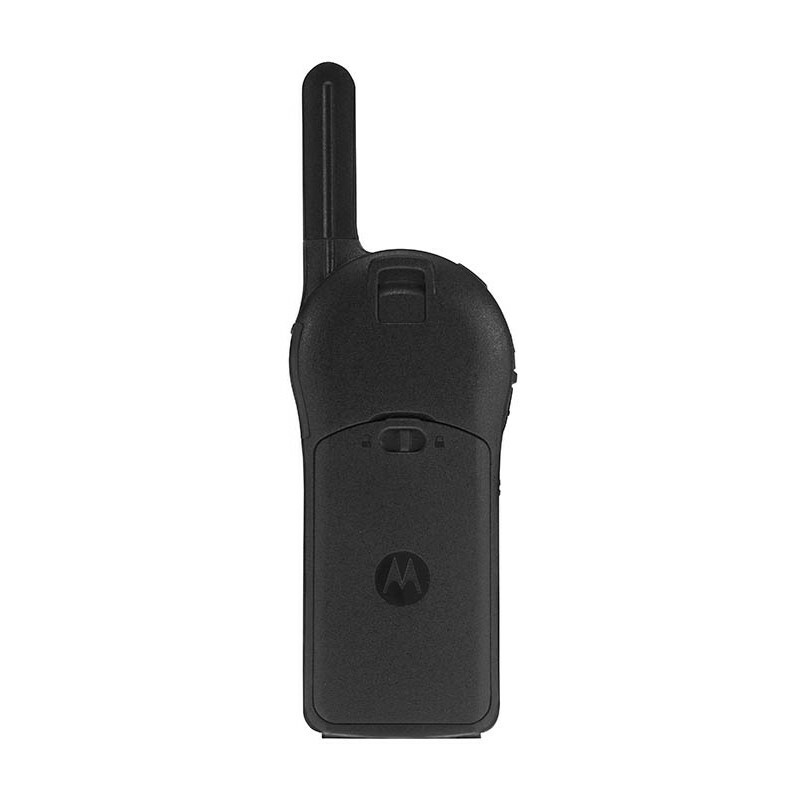 Note: the Motorola CLS charger will slow charge DLR Series radios. Excellent communication between interior and exterior of concrete building that is densely populated with steel and machinery. I originally had some issues with the Motorola DLR1060's but, thanks to the assistance from Robert he determined what the problem was. This company is very professional, supportive and friendly. I highly recommend buy two way radios/Cricket Ventures to anyone who is considering buying twoway radios. Buytwowayradios sent me a sample DLR1060 for evaluation and testing in comparison to my existing Motorola DTR radios. While the new DLR1060 and DLR1020 radios look very much like the popular CLS series radios, they sound MUCH better. In fact, the clarity of these rugged, industrial-class digital radios was much more like their big-brother Motorola DTR550 than the CLS series. I was able to test them back-to-back with several DTR radios for performance, range, clarity and battery life. Range was almost identical to the DTR, and it is one of the farthest ranges one could hope to achieve with any UHF radio. It doesn't refute the laws of physics and like any two-way UHF or VHF radio, it is line-of-sight. But I was able to get almost 14 blocks away in a dense urban neighbourhood before I lost a signal to another radio inside a car in my garage. This is amazing performance. Battery life was slightly more than 14 hours, with lots of transmission tests thrown in, and charging from "low" to full was under three hours. Being digital, the clarity was very clear and there was no fuzzy transmissions at the far edge of its range. Like any digital radio, you either read it 100% or not at all. (The radio sends out a short handshake signal before it will transmit to be sure another radio is within range.) Programming with the optional programming cable was simple, but unless you need to integrate them into a fleet of DTR digital radios, forego the programming cable and just unpack them, turn them on and enjoy them. If there is any interference, it only takes seconds to reprogram the unit profile ID numbers right from the radios. There are 18 channels and ID numbers from 0000 (the factory default) to 9999, giving people almost 200,000 possible combination. (For more on integrating DLR and DTR radios into the same fleet, check out the buytwowayradios.com forums.) 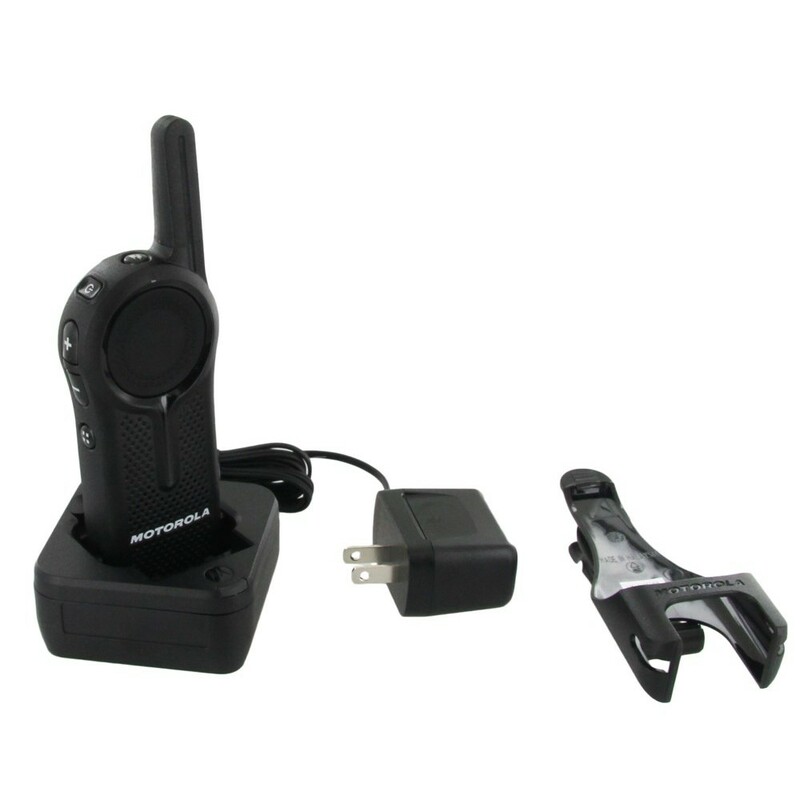 This radio is ideal for business and professional users who want licence-free radios (in the U.S. and Canada), better quality than an FRS/GMRS radio, and no possibility of interference with anyone else on their channel. 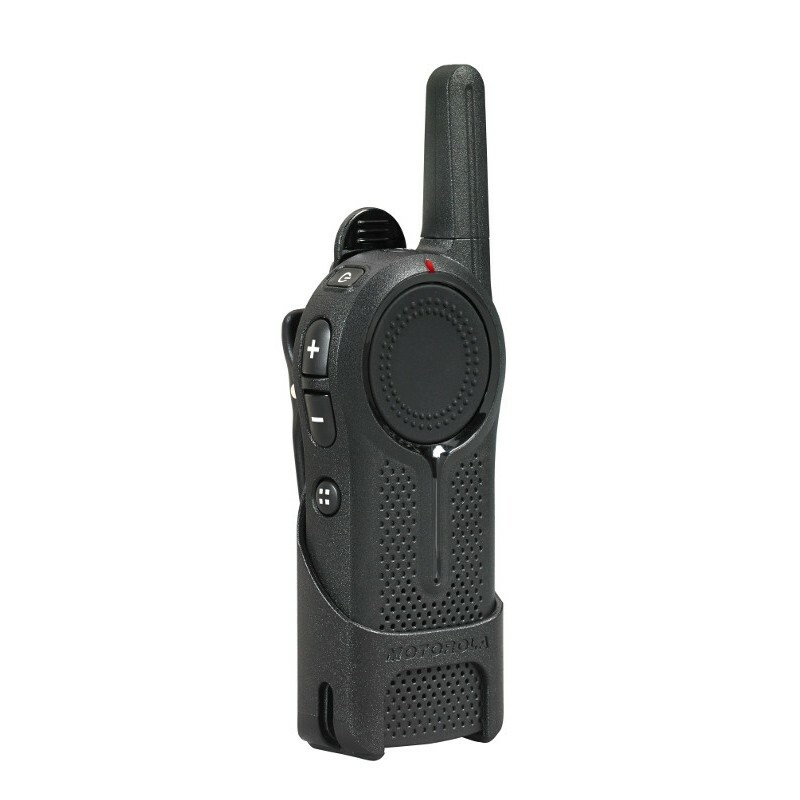 It is not quite as rain- and splash-resistant as the DTR radios, it is also half the size and weight, and less expensive. I predict Motorola is going to sell a lot of them. I am going to have a hard time sending back my sample radio! By the way, the only difference between the 1060 and the 1020 is the number of channels. The 1060 can have up to six, and the 1020 can have two.